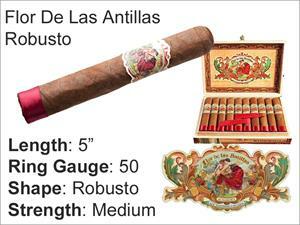 The Flor de las Antillas, the first box-pressed line from My Father cigars. Traditionally focused on more full-bodied cigars, Flor de las Antillas ventures into the company's untapped niche of a true medium-bodied experience. 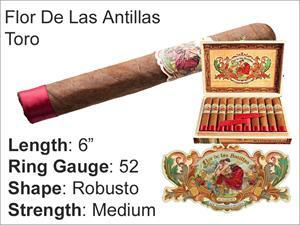 Featuring an all-Nicaraguan blend of tobaccos, Flor de las Antillas maintains My Father's reputation for crafting full-flavored, well constructed cigars.